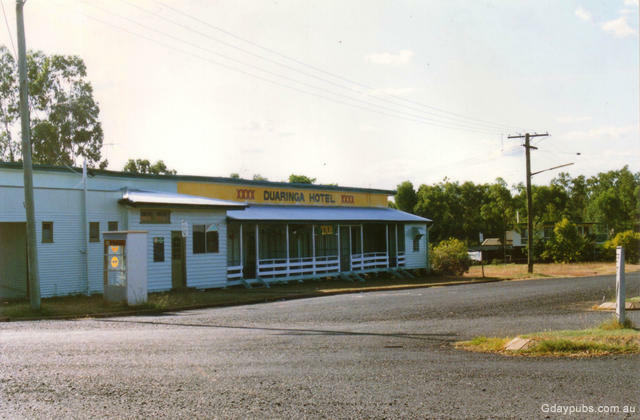 Duaringa Hotel Dating from the 1880's. An interesting feature of the Pub is the operating coolroom whose walls are insulated with sawdust. It was cheaper and there was a sawmill nearby. Obviously works, I hear the beer is icy cold.